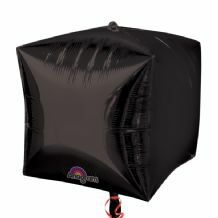 All New type of foil balloons - the Diamondz balloons are 17" in height, float for 2 weeks and use 0.7 cubic feet of helium gas. The Cubez balloons are 15" in height, float for 2 weeks and use 1.4 cubic feet of helium gas. The Orbz balloons are 15" in diameter, float for 2 weeks and use 1.06 cubic feet of helium gas. 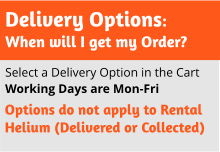 Supplied flat, be sure to add a disposable helium cylinder from the helium gas menu. 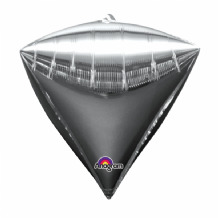 The small F30 cylinder contains 8.9 cubic feet so would fill 12 of the Diamondz foil balloons or 6 of the Cubez foil balloons or 8 Orbz balloons. 15" Black Cubez Balloon sold flat. Pack of 3 Cubez Balloons. 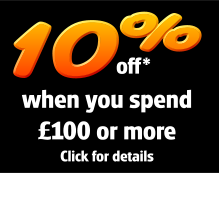 17" Black Diamondz Balloon sold flat. 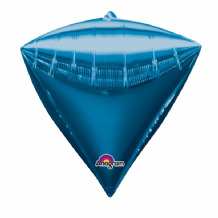 Pack of 3 Diamondz Balloons. 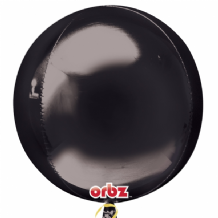 15" Black Orbz Balloon sold flat. Pack of 3 Orbz Balloons. 15" Blue Cubez Balloon sold flat. Pack of 3 Cubez Balloons. 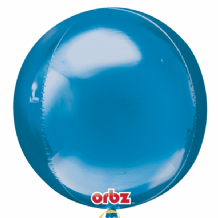 17" Blue Diamondz Balloon sold flat. Pack of 3 Diamondz Balloons. 15" Blue Orbz Balloon sold flat. Pack of 3 Orbz Balloons. 15" Gold Cubez Balloon sold flat. Pack of 3 Cubez Balloons. 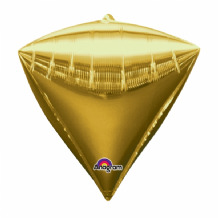 17" Gold Diamondz Balloon sold flat. Pack of 3 Diamondz Balloons. 15" Gold Orbz Balloon sold flat. Pack of 3 Orbz Balloons. 15" Green Orbz Balloon sold flat. Pack of 3 Orbz Balloons. 15" Hot Pink Cubez Balloon sold flat. Pack of 3 Cubez Balloons. 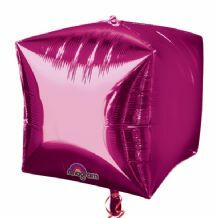 17" Hot Pink Diamondz Balloon sold flat. 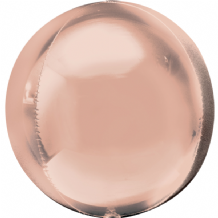 Pack of 3 Diamondz Balloons. 15" Hot Pink Orbz Balloon sold flat. Pack of 3 Orbz Balloons. 21" Jumbo Gold Orbz Balloon sold flat. 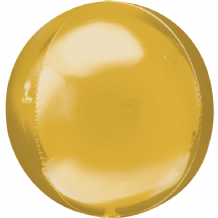 Pack of 3 Jumbo Orbz Balloons. 21" Jumbo Rose Gold Orbz Balloon sold flat. 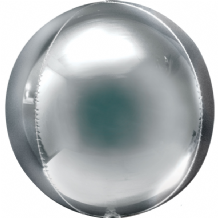 21" Jumbo Silver Orbz Balloon sold flat. 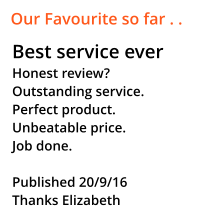 15" Orange Orbz Balloon sold flat. Pack of 3 Orbz Balloons. 15" Pastel Blue Orbz Balloon sold flat. Pack of 3 Orbz Balloons. 15" Purple Cubez Balloon sold flat. Pack of 3 Cubez Balloons. 15" Purple Orbz Balloon sold flat. Pack of 3 Orbz Balloons. 15" Red Cubez Balloon sold flat. Pack of 3 Cubez Balloons. 17" Red Diamondz Balloon sold flat. Pack of 3 Diamondz Balloons. 15" Red Orbz Balloon sold flat. Pack of 3 Orbz Balloons. 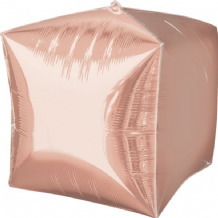 15" Rose Gold Cubez Balloon sold flat. Pack of 3 Cubez Balloons. 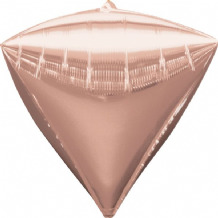 17" Rose Gold Diamondz Balloon sold flat. Pack of 3 Diamondz Balloons. 15" Rose Gold Orbz Balloon sold flat. Pack of 3 Orbz Balloons. 15" Silver Cubez Balloon sold flat. Pack of 3 Cubez Balloons. 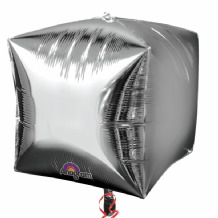 17" Silver Diamondz Balloon sold flat. Pack of 3 Diamondz Balloons. 15" Silver Orbz Balloon sold flat. Pack of 3 Orbz Balloons.